Robert Buttrick has a successful track record for building project management excellence in major organizations and as a contributor to project management methods, best practice and standards. 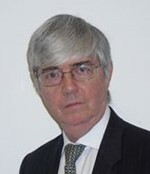 He a UK Principal Expert working on the development of national and international project management standards, for which he received a Distinguished Service Certificate from BSI. He was an author of the 2017 edition of PRINCE® and the lead developer for the UK government’s project delivery standard. He is a Member of the Chartered Institute of Marketing, a Chartered Engineer and an Honorary Fellow of the Association for Project Management. Robert is currently an independent author, a consultant and a Visiting Teaching Fellow at the University of Warwick. Robert Buttrick is the author of the book The Project Workout: Directing and managing business-led projects, recently published in its 5th edition, by Routledge. You can find more information and a companion web site at projectworkout.com.